To be a successful bettor, you need to master at least two things. 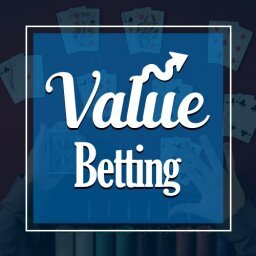 First, you need to know how the type of betting you are looking into works – feel confident about the odds system, understand what each number means, and so on. The second thing you need to do is know how to beat the bookmakers. Believe me when I say they know how to beat you and they are not planning to fail. Bookmakers have been around for ages and they managed to create a very efficient market, where every single move is made carefully. There is a team of people whose job is to make sure that, at the end of the day, the bookie is the winner. So, beating them by gambling and relying on luck is straightforward impossible. You will always end up with a negative balance. If instead of handing your finances over to luck, you adopt a maths-based strategy every time you place a bet, you will actually end up beating the bookie and winning. The current betting system is close to perfect, but bookies make mistakes, too. Trust me and thousands of my clients, it definitely works. 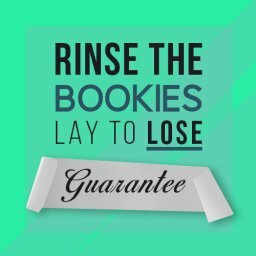 Here are FIVE different strategies we have been using to successfully beat the bookies and guarantee the odds are in our favour. Because they constantly want to attract new bettors, the bookmakers frequently post promotions or free bets. These promotions usually work on a certain condition, such as “Bet £X, Get £X”. For example, if you are willing to sign up and bet £25 with this bookie, you will receive another £50 to place on a bet. That’s £50 of money that is not yours. Sounds great, right? 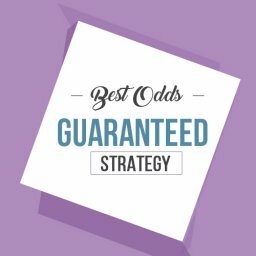 If you decide to gamble, you will most likely lose both the money that was the condition for the qualifying bet and the free bet. Matched betting is a strategy which ensures that doesn’t happen. In a nutshell, matched betting uses maths to guarantee that you will keep a large percentage of the free money and, by doing so, profit off of bookies. Matched betting works on the Back and Lay principle. A back bet is the one you place for a particular outcome to come true – for example, you bet Manchester City to win. If they win, you make money. If they lose, you also lose whatever money you invested. A lay bet, on the other hand, is betting against a particular outcome, so supporting that it won’t come true. In this case, if you place a lay bet against Manchester City, you profit if they lose or draw. 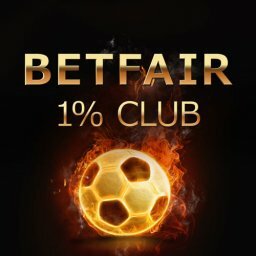 Betting exchanges such as Betfair allow you to lay a bet. So the matched betting principle is the following: you place a back bet with the bookie, and then bet against yourself by laying a bet on Betfair. Basically, you are “matching” your own bet. You can repeat this process for every single free bet you get and the qualifying bet. The more bookie accounts you have, the merrier. What you need to do is keep a close eye on the odds, as they could change in a minute, and make sure your maths is right. Betfair makes that easier by allowing you to enter the amount of money you wish to make by laying to tell you what your liability (the money spent on the bet) is. If your potential profit in any of the three scenarios (win, draw, lose) is higher than the total amount of money spent on the back bet and the lay bet, you’re good to go. That’s some zero-risk matched betting with locked in profit for you. So, how much money can you make? Lots, but it really depends on you. When I say it is up to you I mean, it depends on 1) how many accounts you open and 2) how much time you spend on matching your bet. Even once you have opened an account with the bookie and used your free bet, there will surely be other attractive promotions because the bookie wants you to keep investing your money before you get that free bet. In any case, I would expect to make at least couple of hundreds of pounds each month with minimum effort. 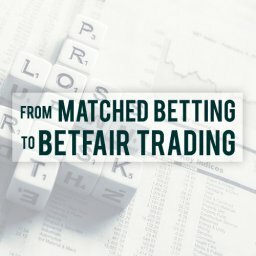 How can you become a matched bettor? You can closely monitor the bookies’ offers, the betting exchange, and the odds they offer in your spare time. 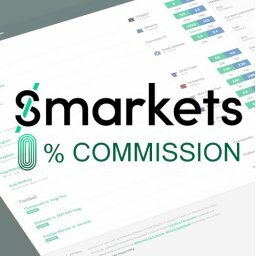 Another option is to rely on one of the matched betting products sold online like Profit Maximiser. The next effective strategy for beating the bookies is arbitrage betting, also known as sure betting. This strategy abuses the odds variations on sports event among different bookies. Such a thing doesn’t happen often, which is why it requires careful observations and fast action. So, just like matched betting, arbitrage betting can operate on the Back and Lay principle, although of course, there are no free bonuses involved. To place arbitrage bets, or arbs, by applying this method, you will again need to use a betting exchange. When you see that the lay odds on any sports even on a betting exchange are lower than the back odds on the same event with a bookie, you can consider that to be a good arbitrage betting opportunity. This usually happens with the exchange lowers the odds, and for some reason, at least one of the bookies fails to correct theirs before you notice it. Another arbitrage betting method is called dutching. The idea is that you bet all possible outcomes of an event to ensure a zero-risk profit. Dutching doesn’t work with betting exchanges but only with the bookies. Ideally, for each possible outcome, you will want to place a bet with a different bookie. This method works on a sophisticated mathematical formula, so it takes a little while to perfect. You are basically always looking for the implied probabilities from the odds, and working out the stakes. For a smooth and successful dutching experience, I recommend using a dutching calculator. Since there are no free bets involved, technically you could place arbitrage bets all day long. You should be able to find several good opportunities every day, so the money you make will essentially depend on how many you place as well as your bankroll. Of course, you can feel free to start with a £50 bankroll and then slowly build it up to £200-£300 as you collect £3-£5 on every arb. 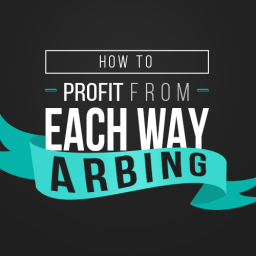 If you want your arbs to yield a more significant profit quickly, you can automatically start with a few hundred quid. You can choose to look for arbs manually, with the risk of messing up the calculations or missing an important update on the odds. Alternatively, you can go for a much safer and more profitable option, and get yourself a piece of software. You should also learn more about the potential risks of arbitrage betting and what the bookies think of it, considering that it is one of the main strategies to bet them. When you get the gist of dutching or back and lay betting on horse racing, you can consider an advance strategy called Each Way (E/W) betting. What you are doing here to ensure the bookie loses is betting that the one same horse wins or ends up taking some of the top places. The basic idea of backing and laying is pretty much the same. The goal is to find selections where the lay odds are much lower than the back odds. There are two elements of an E/W bet – a WIN bet and a PLACE bet. You should place the same amount of money on both outcomes. First, you put £10 on a horse to win, at the odds of 6.0, for example. That’s you WIN bet. Then you put another £10 on the same horse to win one of the top places (2nd or 3rd, but the first place is also included) at, for example, the odds of 2.5. The bookies will normally put down the E/W terms and give a particular fraction of the odds (example 1/4) for an X number of places. That is your PLACE bet. In this scenario, if your horse comes in 3rd, you will still make a £5 profit, taking into consideration the total of £20 that you spend. What if your horse comes 4th or 5th? If you lay against your horse on the betting exchange, you cover all the possible outcomes on one horse and ensure a small profit regardless of how fast he runs. Occasionally, bookies offer an extra place. So, if normally you would be able to bet on the first four places, this time the book offers a stake for the fifth place. These extra places are valuable because the exchange typically doesn’t let you lay against them. So, if you lay the first four places, back the extra fifth place, and your horse comes in as fifth, you will profit both with the bookie and the betting exchange. As you can see, the whole strategy is a bit more complex, so if you want to do it manually, take advantage of an online calculator and stay updated on the odds. But no human can identify as many E/W betting opportunities and update them every 30 seconds like an online piece of software. Each Way Sniper, for example, focuses specifically on E/W bets. 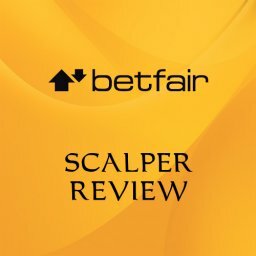 It has an in-built calculator and a betting software which lists all E/W opportunities and classifies them based on how much profit they can bring. While there is a small risk to it, each way betting can be really profitable if you invest enough time in it. On average, you can expect to make £4-£5 per bet. Placing multiple bets each day is possible. This bookie-beating strategy focuses on bookmakers’ free bets on football accumulator bets, the so-called accas. The bookies often promote special offers on accas due to which you can get your stake refunded if one leg of your accumulator bet loses. This means that if you place a bet on at least four football matches and one team doesn’t perform as you expect them to, the bookies will refund you through a free bet. The strategy I worked out in a product called Accumulator Generator uses these refunds to get you free money. Basically, all the maths done here allows you to lock in a profit regardless of the bets winning or losing. The most popular lay methods to use here are Lay All and Lock in a profit. With the first method, you place separate lay bets on each of the teams in your acca. With the second one, you only pick matches that will play one after the other. So you lay against each of the matches in your acca one by one, waiting for at least two teams to lose. To start, you should choose four or five low odds teams (no higher than 1.5). Consider this to be the No. 1 rule, because it increases your chances of having your acca win, or alternatively lose by one match and then you qualify for a refund. The second important rule is to look for close back and lay odds when you compare the bookie’s odds and the exchange. If you don’t lay your acca, you are not really making a zero-risk move to beat the bookie. In other words, if it happens that two or more of your teams don’t perform as expected, you will lose your initial stake and won’t qualify for the free bet. You can search for accas manually, and organise everything in a spreadsheet. But while you do all the calculations for all the teams, the odds might change. That’s why I recommend you check out products like Accumulator Generator. Accas require a larger bankroll and are recommended to more advanced bettors. You can expect to make £10 for a £50 stake per accumulator bet. But of course, until you get more familiarised with accas, you can also start with £10 worth stakes. Another tactic bookies use to attract bettors are price boosts. These price boosts are short-term offers where the odds are increased for a particular bet, often on a certain condition. Such odds are also known as enhanced odds. In a football market, these odds can be enhanced for a particular player to score first, for example. These offers are more likely to be offered for high-profile football matches and other sports events. We focus on enhanced odds accas, so groups of matches with enhanced odds. The simplest such offer would be for three teams to all win their respective matches in 90 mins. The way to use price boosts to beat the bookie is to find an arbitrage opportunity. Just like with all other strategies explained above, this happens when the price boost odds are better than the exchange odds. You should back your enhanced bet with the bookie who is offering the price boost, and then lay off the same selection on the exchange. You can choose any laying method I explained above in the acca section. Keep in mind, if the offer includes multiple matches starting at the same time, you won’t be able to lay sequentially. What’s great about these price boosts is that they don’t harm your accounts. Because the bookie is giving you better odds willingly, you don’t have to worry about getting your account gubbed. Usually, some restrictions will apply to enhanced odds. They can be only offered to newbies. Most of the time, the amount of money you can bet will be restricted. To get the real benefit from these price boosts, you should commit to placing a large number of enhanced odds accas. You might want to consider a piece of software called Acca Booster to help you with this quest. Such a strategy would require quite a large bankroll, but with careful planning, it will bring you thousands of pounds each year. 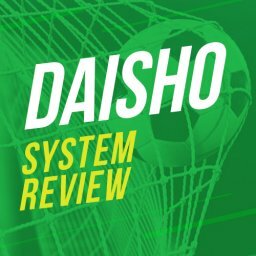 The bookmakers try hard and succeed, but they still haven’t made a perfect system where the bettor cannot make an excellent profit. Our best friend in this mission is definitely the betting exchange, but other times the bookies themselves help us beat them! You can see that beating the bookie can be super easy with any of these five strategies. It’s the best if you diversify and apply all of them, but even if you just focus on one, you will still win.